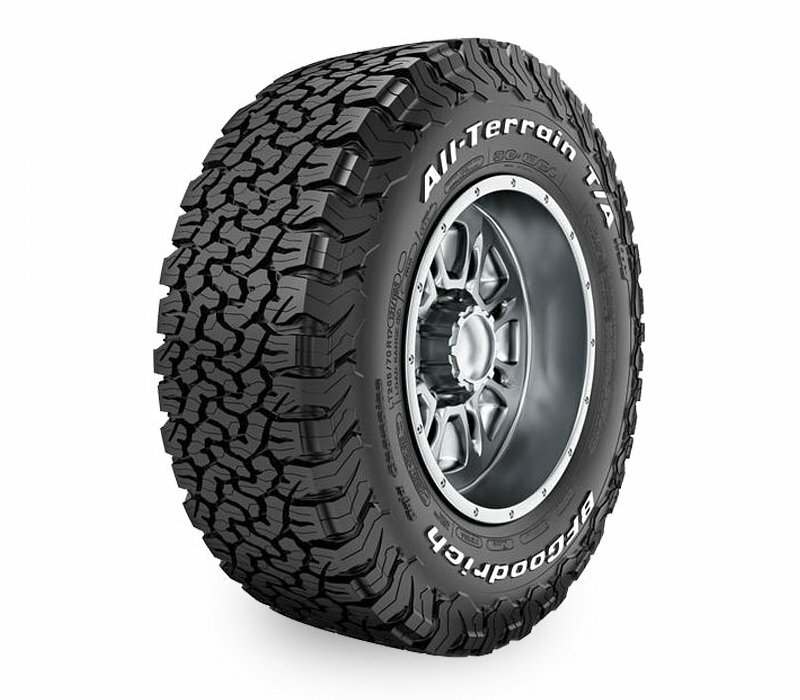 BF Goodrich All Terrain T/A KO2 is BFG's toughest all terrain tyre ever engineered from BFG's championship off-road motorsports racing technology. 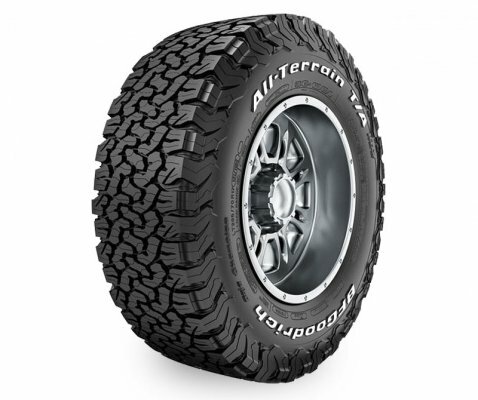 The Al-Terrain T/A KO2 4x4 tyre delivers exceptional toughness, durability and traction for traversing harsh conditions, including gravel, dirt, rock, mud and snow. KO2 has CoreGard technology for split and bruise-resistant sidewall rubber and a thicker, extended shoulder to prevent sidewall failures. Computer modelling is used to predict object paths creating a sidewall design most likely to deflect protruding objects which result in a tougher 4x4 tyre to take on in all terrain conditions. Staggered shoulder blocks offer greater manoeuvrability in soft soil and deep snow conditions. Combined with 3-D active sipe technology that provide more biting edges, the KO2 4WD tyre exceeds Rubber Manufacturer Association (RMA) Severe Snow Traction requirements. New tread design and rubber formulation that makes it last twice as long on gravel and 15 percent longer on bitumen than the previous KO 4WD tyre. Side Biter Lugs, which are the protruding sidewall rubber blocks, give increased mud, snow & rock traction, especially in aired-down driving situations. Mud-Buster Bars, which are the raised bars in the shoulder tread, help release compact mud for improved traction in muddy and soft soil conditions.